In August 1709, Bartolomeu de Gusmão accomplished, for the first time, the feat of propelling a heavier-than-air object into the air. This would become the first hot air balloon ever built, preceding the Montgolfier brothers by eight decades. 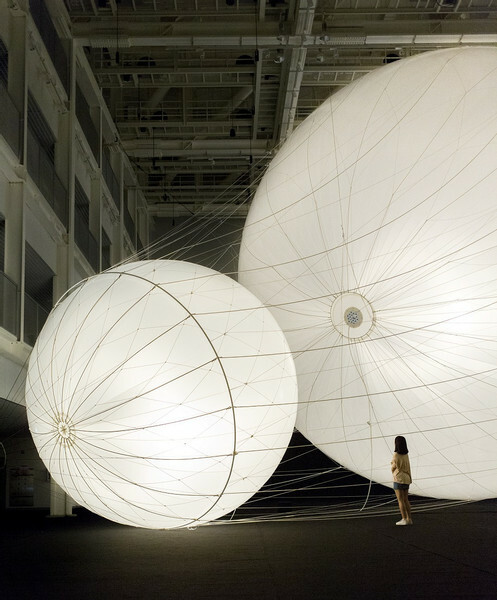 Three hundred years later, Argentinian artist Tomás Saraceno began to create sculptures which defy gravity, floating in the air merely with the heat of the sun, leaving behind the use of helium or fuel. These pieces also form the basis for one of the artist’s research projects, called Aerocene – which describes an era when the human race might inhabit these aerial structures.In this new site-specific installation at the Oval Gallery, the artist presents a selection of sculptures, both pre-existing and new, which together allow us to imagine the possibility of an “Aerocene” urbanism, as well as a futuristic view of new interactions between human beings and the planet’s atmosphere.